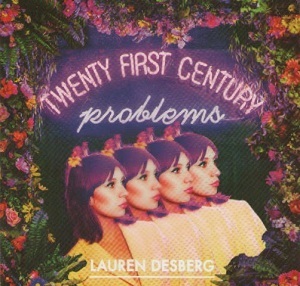 Lauren Desberg is a young singer from Los angeles who discovered her love of Jazz while attending the Los Angeles county high school for the arts. She attended Berklee college of music in Boston and while there released her first EP, Sidewys. She's toured the US and her music aims to combine traditional Jazz and a contempary feel. This album is a collection of covers of songs that have previously been performed by people such as Ella Fitzgerald or The Beegees. Musically there is plenty here that Jazz fans should like - the piano, the lovely vocals and the trumpet. Not being an expert on the Jazz scene I can't really predict how they'll like the music though, but in general when someone tries to "update" a musical style it usually splits opinion with some loving it and others hating it. The song most people will recognise is the Beegees cover, "How deep is your love". It's very different to the original as she's taken a well known pop song and given it a Jazz sound, but I think it works very well. I do like this album - it's something that stands out from the crowd. Definitely well worth a listen. "Twenty first century problems" will be released on 18th May 2015.